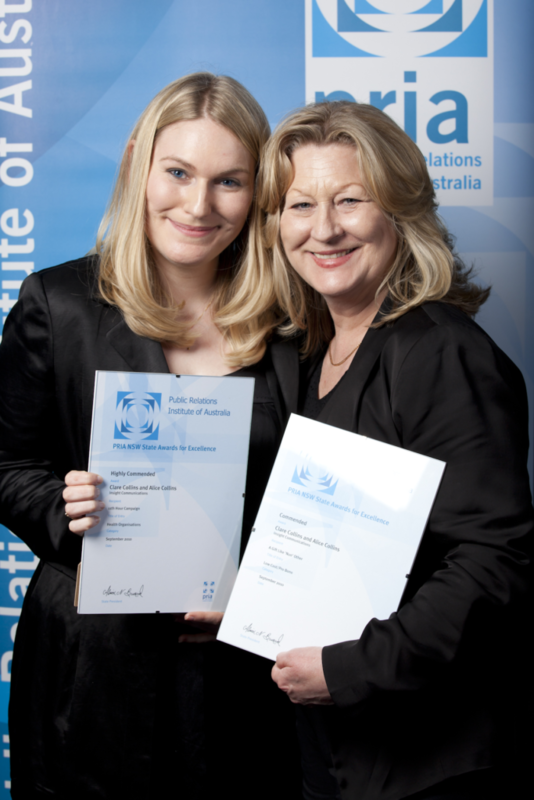 Current double award winners in the 2010 NSW Public Relations Institute of Australia Awards for Excellence for their remarkable work on the ‘11th Hour Campaign’ for Ovarian Cancer Australia (Health) and ‘A Gift Like Nun Other’ (Low Cost/Pro-Bono) for the Timorese ALMA Nuns, Insight Communications was recognised last night in the industry’s annual national Golden Target Award gala event held in Darwin. Both campaigns demonstrated Insight Communications’ unique and creative PR strategies using a combination of traditional and non-traditional methods to deliver their respective key messages to achieve unparalleled awareness and media coverage for their clients. Insight Communications is a boutique PR agency launched in 2008 by mother/daughter team Clare Collins and Alice Collins. With the marketplace full of PR agencies, what makes Insight unique is its core philosophy – to focus their business within the streams of cause, culture and community and health and shine a light on brands and issues that matter. Prior to Insight Communications’ involvement and creation of the ‘The 11th Hour Campaign’, Ovarian Cancer Australia (OCA) was little known outside Victoria. Challenged with limited budgets, conflicting brand identity, a short lead-time, few existing spokespersons and minimal case studies, the Insight team created and rolled out a national communication campaign to raise widespread awareness of OCA and the symptoms of a disease that kills one Australian woman every eleven hours. Working within the constraints of a two-month period (December/January), Insight utilised nationally known ambassador Jean Kittson, generating awareness of the Teal Ribbon (the international symbol of ovarian cancer) and securing massive media coverage on a national scale. And most impressively, Ovarian Cancer Australia became the official charity to be represented at the Prime Minister’s XI on World Cancer Day. Former Prime Minister Kevin Rudd, his wife Therese Rein, team captains and team players all wore Teal Ribbons throughout the day publicly acknowledging Ovarian Cancer Australia as the leading Australian advocate for Ovarian Cancer awareness and support. 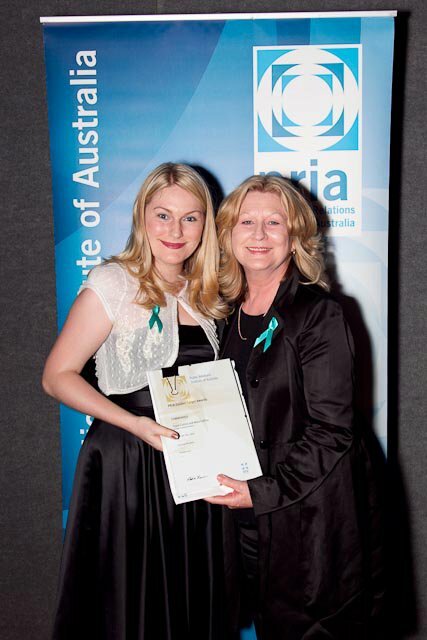 Additional accomplishments include the highly successful launch of Teal Ribbon Day on February 24, 2010 which led to many high profile personalities and Australian leaders wearing Teal Ribbons. From Kevin Rudd, Julia Gillard, Tony Abbott and all Federal Parliamentarians, MPs in State Parliaments in Victoria, Tasmania and NSW including the Premiers and presenters on all major television networks including Tracey Grimshaw, Karl and Lisa, Mel and Kochie and the team from The Circle. 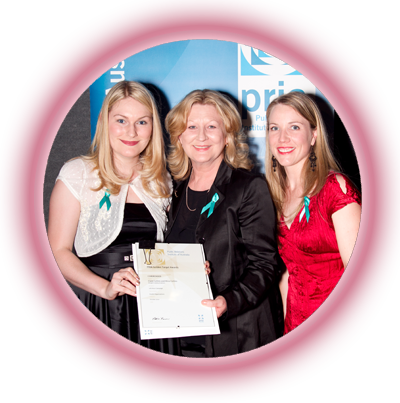 At the end of the campaign, Insight’s ingenuity generated Ovarian Cancer Australia’s most successful campaign to increase media coverage in primary media outlets by 2683%, online mentions by 2440%, increasing donations by 114%, website visits by 267% and telephone enquiries by 1567%. More importantly, Ovarian Cancer Australia’s vital life saving message reached 20 million Australians. Paula Benson, Chair of Ovarian Cancer Australia, congratulated the Insight team on an outstanding achievement gaining recognition for their award winning efforts by the industry body. “One of our most important roles at Ovarian Cancer Australia is to raise awareness of the symptoms of ovarian cancer in our annual Awareness Month in February. Clare and Alice ensured we were able to do this like never before. Our 2010 ‘11th Hour Campaign’ was an enormous success and our best Awareness Month yet,” Ms Benson said. “Clare and Alice deserve this recognition of their work but they have also contributed to the greater good – raising awareness of the symptoms of ovarian cancer will save the lives of Australian women and we are grateful to Clare and Alice for helping us to make a difference!” she said. Insight’s second award winning campaign, ‘A Gift Like Nun Other’ was a national appeal designed to raise funds to support the work of four East Timorese Nuns who provide the only physiotherapy available to children with disabilities in Dili. The ALMA Nun campaign was created to provide the Nuns with a safe vehicle (the four Nuns were sharing a single scooter) enabling them to provide care that the children desperately needed. This project presented Insight with its own unique set of challenges including a narrow window of opportunity, limited access, a language barrier, no facility in place to receive and process online donations, media competition with the death of Michael Jackson and other well-known fundraising campaigns, plus the most hard-hitting challenge of all to the not-for-profit sector, the Global Financial Crisis (GFC). Once again, the talented team at Insight came to the rescue and recognised that a carefully executed PR plan was the answer to raising the necessary funds. Initiated by Paul Stewart, the brother of one of the Balibo Five, Insight came on board and volunteered to lend a hand with Paul providing information and images of the incredible work of the Nuns. With the international success of the film Balibo and its accompanying publicity and resurgence in the interest of the plight of the East Timorese, Insight identified their target audience and perfectly timed their pitch to ensure effective management of the campaign, avoiding competing with other fundraising projects and high profile stories. Additionally, journalist Lindsay Murdoch who covers East Timor, immediately identified the importance of the story and flew to Dili to cover it. This resulted in stories and powerful images featuring in The Age, The Sydney Morning Herald and Brisbane Times. Insight is an agency with a conscience. They don’t simply accept any client but shine a spotlight on brands and issues that matter knowing their efforts are making a difference in people’s lives and within communities. 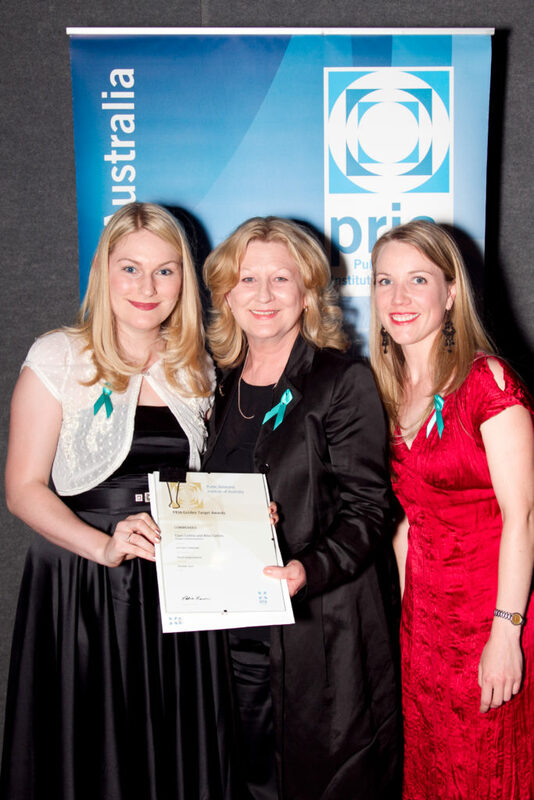 In addition to these two multi-award winning campaigns, Insight has also developed and managed public relations activities for national and state based organisations including; RPA Transplant Institute, St Vincent’s Clinic, Ability Options and developed the marketing communications strategy for The Big Issue’s Women’s Subscription Enterprise which led to a successful grant submission of $1.25million.